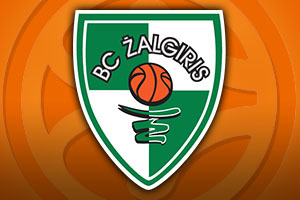 Both of these teams have tasted Euroleague success and Zalgiris know what Real Madrid Baloncesto is going through this season. The reigning Euroleague champions just about squeezed through the regular season and they currently hold a 1-1 record in the Top 16. Mind you, the away team have a 0-2 record in the Top 16 and they’ll be desperate to grab a win at this stage of the season. One of the strange things about Real Madrid is that even though they’ve lost a good few games, they hold an overall 6-6 record in the Euroleague this season; they are ranking well for many statistics. They are the second best ranked team in the performance index rating (99.5), they are ranked fourth with respect to scoring (84.8 points per game) and they are currently ranked third in rebounds with 37.3 rebounds per game. With players like Sergio Rodriguez and Jaycee Carroll, you should see Madrid winning more games than they lose but the loss of Rudy Fernandez and Sergio Llull has been a blow to the Euroleague champions. Kaunas knows that form is not on their side in this game as they have lost 11 of the last 12 games between themselves and Madrid. However, there is no reason why that statistic cannot change and Kaunas has some players that can impact on the game. There is a need for players like Renaldas Seibutis and Olivier Hanlan to pull out the stops and give new coach Sarunas Jasikevicius a strong start in the Euroleague. A 5-7 record in the Euroleague this season isn’t ideal but there is still plenty of time for Zalgiris to pull things around and give themselves a chance of progressing from the Top 16. 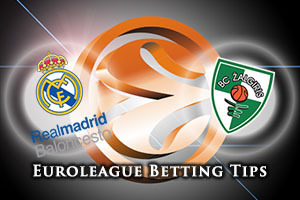 The odds are all with the Spanish giants so think about taking Zalgiris Kaunas at +17.5 which can be found at odds of 1.90. With respect to the Over/Under market you should be looking to go OVER 162.5 at odds of 1.90 on Friday. There is a feeling that there could be a lot of points scored in Madrid this week. Bet Now!